Just wanted to show you what the Lord told me this morning. One of the simplest way of understanding what Jesus said to realise he quotes a lot from the Old Testament. many would assume it is speaking about hell and eternal torment. He wasn’t. He was quoting this. If you are careful in reading this. You will see the words “dead bodies”. In another version of this verse the bodies there are translated as carcasses. And they shall go forth, and look upon the carcases of the men that have transgressed against me: for their worm shall not die, neither shall their fire be quenched; and they shall be an abhorrence unto all flesh. They do not refer to souls being tormented in eternity. What Jesus was referring to was the destruction which would come upon Jerusalem in AD70. You will read about this same account here. Their bodies will lie in the public square of the great city—which is figuratively called Sodom and Egypt—where also their Lord was crucified. For three and a half days some from every people, tribe, language and nation will gaze on their bodies and refuse them burial. The inhabitants of the earth will gloat over them and will celebrate by sending each other gifts, because these two prophets had tormented those who live on the earth. The “Sodom” and “Egypt” here is how Jerusalem was depicted. God would name Jerusalem the names of Jerusalem’s enemies when she fell. She was also known as “Sinai” and “Babylon” in Galatians 4 and Revelation 18. Therefore the “hell” Jesus so often quoted by preachers is actually the massacre of the Jews in Jerusalem in AD70. “Inside the walls, the bodies of natives, aliens, priest and laymen were piled on each other, and the blood of men and beasts formed lakes in the sacred courts. When it was no longer possible to carry out the bodies, the corpses had been piled up in the largest houses and the doors locked. The innumerable bodies piled up all over Zion were not merely a revolting, stinking sight, but they also obstructed the fighting men as they made their sorties. For like men marching across a battlefield littered with thousands of dead, they were forced to trample dead bodies. Indeed, there was no more room to bury the dead. An excerpt from what happened in Jerusalem in AD70. May this Christmas brings this issue to a rest. Previous The Prince of this world is the High Priest. Next The myth about the book of life. Spot on. This article is an invitation to do more research into what happened in AD70. 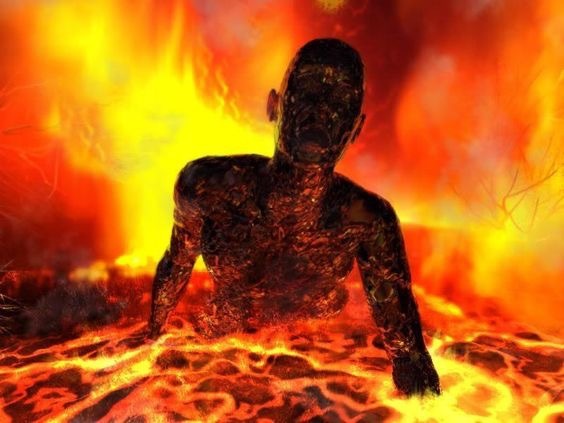 I have a pastor friend that says hell is the holding grounds for the non-believers at this time, but when all is completed, God will destroy both the devil and his followers as if they never existed. I believe he said there is a verse or passage in Ecclesiastes that talks about it. I’m not sure if I’m matching up or relating this properly to what you are talking about, but it made me think that maybe we don’t know much about hell. I’ve been wanting to do more of a study on it.